Lucky Montana, CEO of the Passenger Rail Agency of South Africa (Prasa) has rejected an article claiming that its new batch of locomotives exceed the height restrictions for local tracks. Montana labelled the article that appeared in the Rapport as wrong, while other senior representatives of the company pointed out gross inaccuracies contained in the article. “This article is grossly inaccurate. It is devoid of facts,” said a Prasa representative at a press briefing on Monday. According to Rapport, Prasa received thirteen new diesel locomotives that are too high for the long distance routes they were intended for. 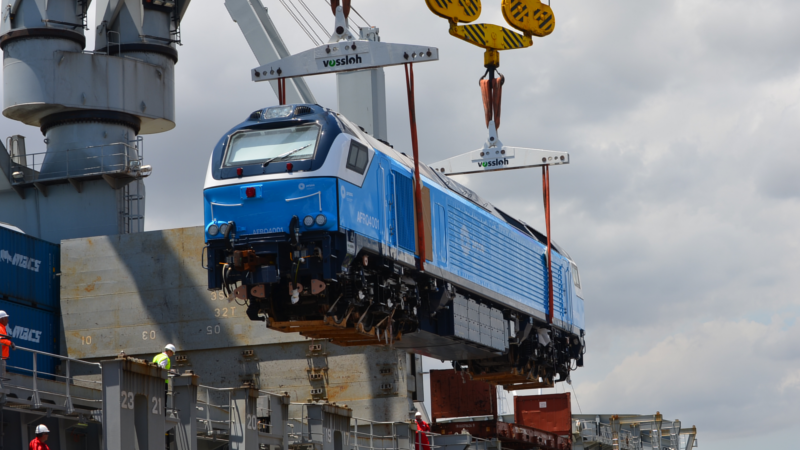 Senior railway engineers and sources with firsthand knowledge of the issue told Rapport Prasa had been warned that the new diesel locomotives it ordered from Spanish manufacturer, Vossloh España, are too tall for local use. The locomotives have a roof height of 4,264mm while the maximum height for diesel locomotives may not exceed 3,965mm, senior rail engineers with firsthand knowledge of the saga told Rapport. However, on Monday, Prasa stressed that the height of the new locomotives was 4.1 metres, and did meet all safety requirements, including a height restriction of 4.5 metres. Montana suggested that the engineering team was being undermined because the lead engineer is black. He said that the motive for Rapport’s article ‘was probably a race issue’. Montana said that he had decided against taking Rapport to the Press Ombudsman, or threatening legal action. He said that if someone has an agenda, it will come out at a later stage. “I’m convinced that there is an agenda…there is a consistent attack on Prasa,” the chief executive said.